Whether you are under police investigation, have been arrested, or are facing charges, having an advocate familiar with the criminal justice system in Michigan is essential to protecting your legal rights. In Michigan, even the most minor of criminal offenses can lead to jail time if you are not properly represented by an experienced attorney. 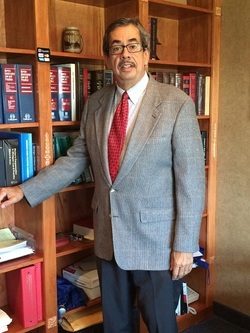 John J. Finn handles all aspects of criminal law, from misdemeanors to serious felonies. We take every case seriously and apply our legal acumen and experience to ensure our clients get the best possible representation in court and that no essential component of the legal matter is left unaddressed. Most jurisdictions classify crimes as felonies or misdemeanors, with felonies being the more serious offenses with the possibility of more severe sentences.. You should consult with a criminal defense lawyer early on in the process to preserve options, such as diversion programs or plea bargains. Thereafter you want a strong aggressive defense that leaves no stone unturned. John J. Finn brings 32 years of experience to the table. He has been there. He has done that. He can help you.